When Sharon Runion Rowland (left) was inducted into the National 4-H Hall of Fame Oct. 19, Mike Davis (right), former state 4-H leader and past Hall of Fame inductee, was among those who attended the ceremony. For excellence in citizenship, leadership, character and career accomplishments, Sharon Runion Rowland was among 15 people inducted Friday Oct. 19 into the National 4-H Hall of Fame at the National 4-H Youth Conference Center in Chevy Chase, Maryland. Rowland retired from NC State University in 2012, after serving North Carolina 4-H for 36 years as an agent, specialist and executive director of the state’s 4-H Development Fund and its Cooperative Extension Foundation. As Shannon McCollum, an Extension 4-H specialist who wrote Rowland’s nomination, she has been “an exceptional colleague whose personal commitment to lifelong learning and sustained success was visible in her devotion to duty and to others. Rowland grew up in Mitchell County and participated in its 4-H program for 11 years, making presentations, going to camp and building leadership skills. She served as state 4-H vice president, camp counselor, national project winner and member of the state 4-H Honor Club, the highest accolade awarded to North Carolina 4-H’ers. Rowland went on to attend the University of North Carolina at Greensboro, and after graduation in 1977 she began her career as a 4-H agent in Union County. She went on to serve as a state 4-H specialist with a national reputation for her expertise in designing age-appropriate projects and curricula. For Sharon, 4-H is a way of life, and she is always, wherever she is, making the best better. In 1999, she turned her 4-H passion to raise funds – and friends – as North Carolina 4-H Development Fund’s executive director. In that role, she helped hundreds of volunteers raise millions of dollars through permanent endowments supporting 4-H’ers, volunteers, parents, agents and statewide programs. Her passion, knowledge and leadership were also instrumental in making the North Carolina 4-H History Learning Center at Millstone 4-H Camp a reality. While she finished her professional career in 2012 as executive director for the N.C. Cooperative Service Foundation, she has continued to support Mitchell County 4-H as a volunteer and club leader. 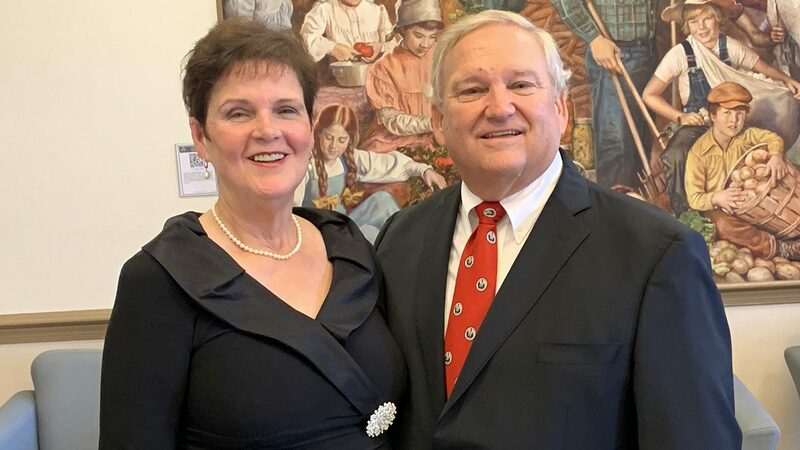 She and her husband, Steve, established several endowments, including one that provides funding for outstanding North Carolina 4-H’ers to travel to national 4-H leadership and citizenship events. For her career successes, Rowland has received several awards, including North Carolina Bankers Association’s Gordon Allen Award. That award recognized her efforts in raising funds for Camp Challenge, a 4-H camping program for high-achieving students from low-income families. She also received the state governor’s award for extraordinary service to the state, the Order of the Long Leaf Pine.